The Ideal Muslim is about the true Islamic personality of the Muslim as defined in the Qur’an and Sunnah. 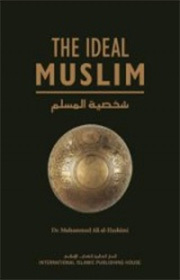 Written by Dr. Muhammad Ali Al-Hashimi (also the author of the Ideal Muslimah), this book defines the Ideal Muslim as a man of the highest moral character. This book will play an important role in directing the Muslim community towards the path of guidance and leadership, thus becoming a beacon for all mankind.